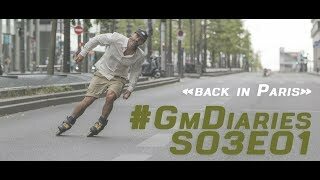 When he skated the FISE stop in Hiroshima he managed to skate around town and produce this awesome ride. Maxime Genoud travels the world with his skates and camera. In 2018 he visited Hiroshima Japan to skate the FISE competition and shoot photos for his graduation project. After that Maxime kept on Inline comps and earned himself two bronze medals: At the overall FISE raking and the highly respected Winterclash 2019. Time to have a chat with the Swiss native. Maxime how was your visit to Hiroshima? It was my first time in Japan and I just felt in love with this country. Everything is a bit like in my country, all clean, people are respectful even too much from time to times but everything works well but your in Asia and everything is expended to an other reality for us. And of course if I have to speak about the competition of course it was crazy, seeing Takeshi killing it and Joe going smooth like that on such a technical court was so cool. For my self, I wasn’t on the top of my capacity, I got hurt in Jeddah and wasn’t fully recovered, plus my suitcase arrived late which made me miss the trainings it was a bit of a discovery two runs. Unfortunately you got injured at the FISE in Djedda. 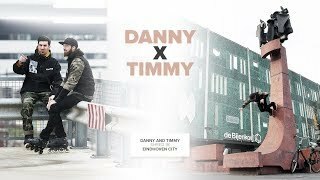 Luckily you recovered and ended up 3rd on the overall ranking of the FISE tour 2018. How did this make you feel? Yeah I was invited to the FISE for the opening ceremony, I was supposed to skate but before the competitions we were skating like 10 meters away from the comp, there was a bank and a palm tree next to it. I got on the bank lost balance a bit still try to it the palm tree and felt pretty bad and torn my ligaments and ankle. Still fucked up nowadays and still trying to have it better for Montpellier. Getting in and staying in shape as a professional skater is very important. How do get yourself back in shape as quick as you did? When I have a bad fall like I had, I go the a specialized doctor who follows me for years now, he analyzed the situation and told me what to do to get well as fast as possible without loosing muscle. Now I have a small roller for my ankle and do a lot of biking for my knee, about 1 hour a day. A few years ago you did a school project in Chengdu China. It was a photo album for school. This year you are shooting a graduation project in Japan. Can you tell us something about the concept? It was 3 years ago in China. I’m doing a 50 edition of handmade books about this travel in Japan. Mixing the different support, using 6 cameras for a travel, yeah I don’t travel light. Those books are a mix of text in French (but there’s a sheet with the text in English) and pictures made during a travel, telling the stories of my travels. 3 years ago I graduated from the Photography School of Vevey (CEPV). Now I’m finishing another course in the same School. 3 years ago it was also for a FISE event but in Chengdu, I was finishing school and it felt like a good project to graduate, it actually feels the same right now. Volume 1 on Chengdu, Volume 2 on Hiroshima. Does your point of view as a skater must influence your creative approach as a photographer? I would say it goes both ways, as a photographer I’m always looking for elements who can be strong on a picture. My skating tend to be photographic also, I’m not trying to spin around but more trying to build an aesthetic trick. When we’re shooting street, I can redo a trick 30 times to have it perfect but it’s also a combination with the people behind the lens. 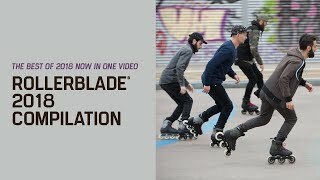 We are a crew of photography, video, riders with Asphalt Blading Club. Geoffroy Dubreuil, Michael Hartwell and Stéphane Ryter working as videographers Nicolas Schopfer and myself as photographer and even the others guys knows than skating as to be aesthetic to be broadcast. What other things have you got planned for the near future? Enjoying that I have finished my study, and after that it’s all a huge mystery, I’ll see what might be possible with photography while keeping myself involved in for the sport.